﻿ Flagword.net » Openfire. Migrating from HSQLDB to MySQL. Openfire. Migrating from HSQLDB to MySQL. MySQL Migration tool has been EOLed but it is still available from mysql.com. Java 1.5 is required to run MySQL Migration tool. Set -Xmx to 512m or bigger, as shown below, if your openfire.script is big. Mine was 135MB and that was essential. Connecting to source database and retrieve schemata names. The list of schema names could not be retrieved (error: 0). 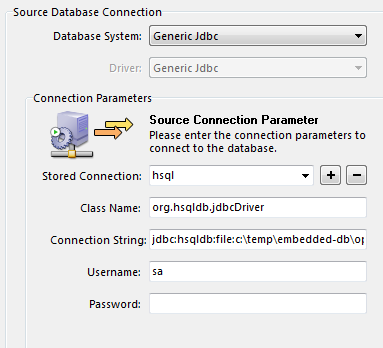 Copied hsqldb.jar from the server to lib/ directory of MySQL Migration tool where it keeps various jars. The rest is just a series of clicks on the “Next” button. Please note that if you choose to migrate the data directly into your MySQL DB all the tables will be created with their names in UPPER case. If it’s not what you prefer instead of checking “Create Objects Online” and “Trabfer Data Online” simply select “Create Script File for Create Statements” and “Create Script File for Insert Statements” and the tool will create to files Creates.sql and Inserts.sql which you could later update to meet your preferences.